By following these short, simple steps you can get your valuation in no time at all, plus we will collect from any location free of charge. To get started, enter your details into our contact form, after entering a few simple details you will be contacted by one of our salvage experts who will present you with a free no obligation quotation either by phone or email. Once you’re happy with your valuation, you can arrange to scrap your car for cash wherever and whenever it suits you. Automotive Recycling with Scrap My Car 123 is Easy! At the agreed appointment you’ll be greeted by one of our friendly salvage experts. They will walk you through the process and talk you through the paperwork. It’s as simple as 1 2 3 to scrap your car! If your vehicle is coming to the end of its useful life, you might be checking around from one car scrap yard to another to get a few quotes. If you wish to scrap in your old or junk car or van – it may just be wise to contact scrap my car or scrap my van dealers – who will dismantle your old car and sell its spare parts and scrap in the body of the vehicle. Of course, you may be also interested to know about the current scrap car rates in the current market. Whether you sell your vehicle for scrap or call for automotive recycling, there isn’t much left to do. As at the end your vehicle will be stripped of its metal parts and recycled, this is indeed the final stage of a vehicle’s life. However, automotive recycling is very straightforward as some of the metals can be used in new automobiles. Scrap My Car: How to Scrap a Car With Us! Scrapping a car has never been easier with our quick and easy online valuation. Call your local branch and scrap your car as soon as you like. To get started, enter your vehicle’s registration number online, you will be contacted back usually within 1 working hour with your free online car price calculation. Once you have received your online valuation, you can choose an appointment with one of the local ScrapMyCar123 collection agents at a time and date that works for you. With well over 200 branches in the across the country you can scrap your car for cash wherever and whenever suits you. Anticipating what is the scrap car prices you will get when scrapping a car is based on a huge number of factors. Knowing how to scrap a van or how to scrap a car is an art in itself. You need to know the supply and demand of the scrap metal market to the salvageable parts of the vehicle. 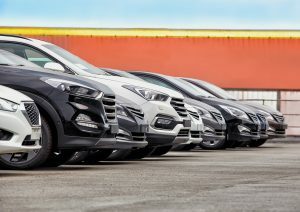 The scrap cars buyers will consider a few basic criteria into consideration before deciding how much a scrap car is worth. Smaller cars will be relatively light and hence have less usable scrap metal. Whereas heavy vehicles like Land rovers are considerably heavier and ultimately more valuable. The buyer location is also a criterion as the buyer needs to transport the scrap cars to the nearest port, the more they will deduct from the prices they give to cover their costs. At scrap my van we buy any van and will consider any light commercial vehicle up to the value of £5000. We buy broken vans, high mileage vans, old scrap vans, low mileage vans, non-runners and MOT failures. We also buy unusual vans, horseboxes, campervans, refrigerated vans and motor homes. We offer FREE collection of your scrap van. ScrapMyCar123 are happy to match any online scrap my van price quote and pay cash to remove your unwanted van today!